It is imperative to ensure all functions, duties, and obligations in connection with providing the services in accordance with standards of first class charterers’ agents upon instructions from the charterers. At the same time while the agency function is thoroughly supervised, it is also important owner’s interests are safeguarded. We at Sharaf Shipping provide a full and comprehensive attendance to all matters pertaining to the vessels, prior to arrival, during port stay, upon departure and after departure, to help principals not only with their current operations but also with future planning and sharing knowledge such as local market & operational intelligence comprising of port line-ups, new port developments and availability of storage facilities at the port with respect to traded commodities. 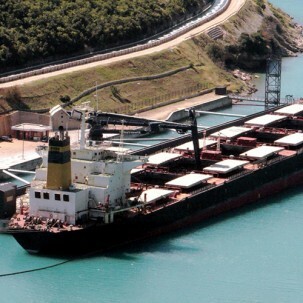 From Handy to Panamax to Capes, with various bulk commodities traded, our team is well experienced with the operations and demands of the vessel employment. Teams ensure the correctness of cargo documents/SOF/time sheets and keep the Principals duly informed for further course of action.